Canoe on a beautiful lake with mountains in the Peter Lougheed Provincial Park in the Kananaski Country of Alberta in Canada. 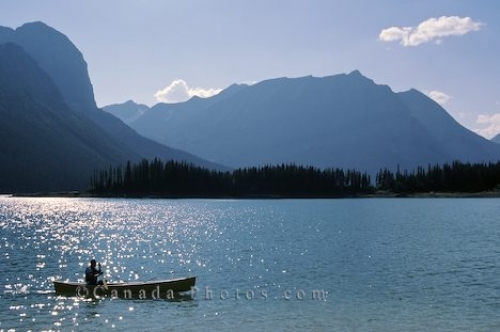 Canoeist on a Lake in the Peter Lougheed Provincial Park in the Kananaski Country of Alberta, Canada. Photo of a canoeist enjoying the beautiful nature of Peter Lougheed Provincial Park in the Kananaski Country of Alberta, Canada.